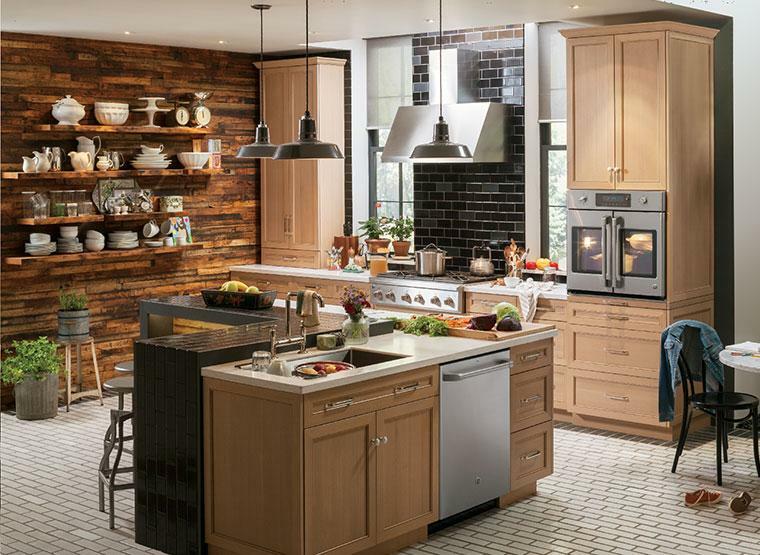 The homebuilding industry has started to grow again, and 10 of the nation’s top 15 builders have chosen GE appliances to help them win in the marketplace. In the last couple of years GE has signed-on or renewed relationships with some of the nation’s premier builders such as Lennar, Shea Homes, Taylor Morrison, Richmond America and more. For GE Appliances customers, the brand is the preferred appliance manufacturer because of its holistic approach. GE Appliances is the premier appliance company providing homebuilders a complete appliance solution from brands like Café™, Profile™ and Monogram® to the industry’s largest dedicated contract sales force, the ability to deliver on time, and a company-owned factory service network. “We are fanatical about our customers. To win their business we have to meet their needs and expectations. Homebuilders are dealing with hundreds of vendors. We have to make it easy to do business with GE Appliances,” said Posthauer. “That is why we pay attention to every detail from broad product selection, and have an award winning website to support the appliance owner for the life of the product. It’s all about being relevant and competitive with solutions for not only the home builders, but the home buyers." "A 100+ year history of innovative, quality products and service is here to stay.” Posthauer continued. “Our customers can expect us to not only be here to serve them but to continue to improve and grow with them. We are excited about our new relationship with Haier. They are the No.1 appliance brand in the world. Teaming up with GE Appliances makes a powerful statement. Our mission is built around three words: consistency, continuity and opportunity. Together Haier and GE Appliances are committed to continuing to deliver for our customers. As the sale of GE Appliances to Haier concludes, the same GE Appliance leadership team will be guiding the business which will continue to focus on building a better tomorrow for our business, our customers, our employees and our plant communities."